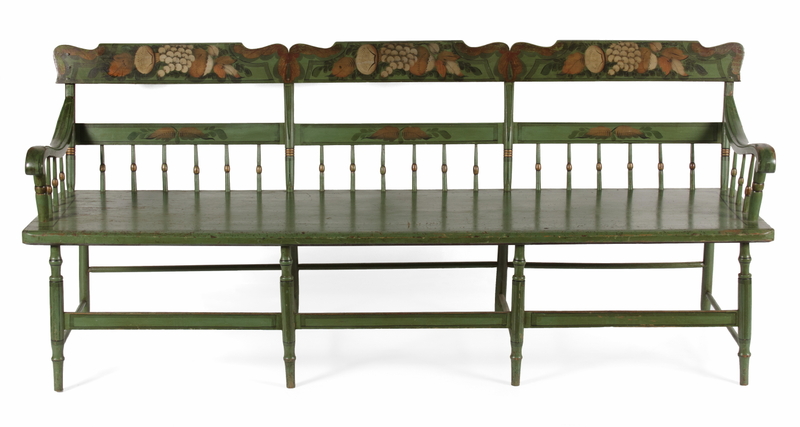 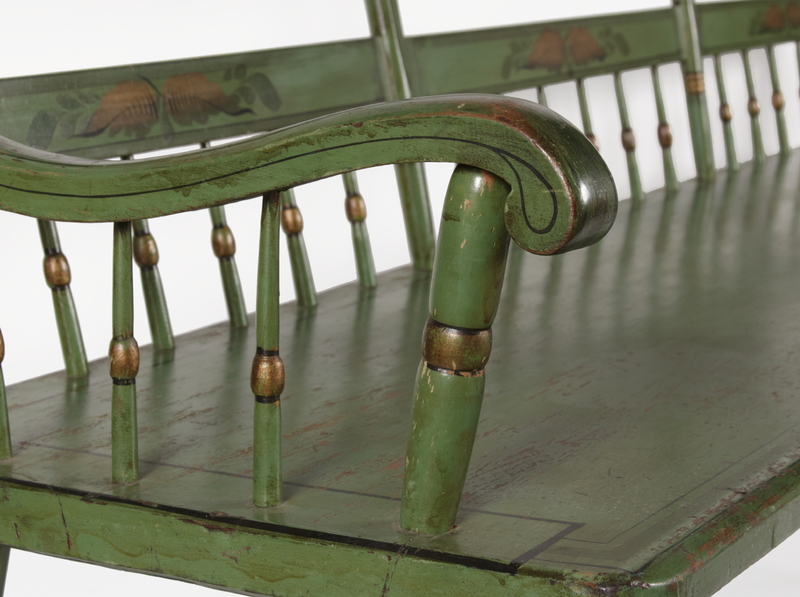 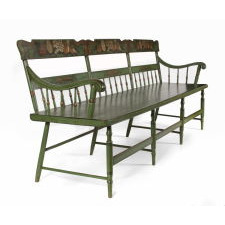 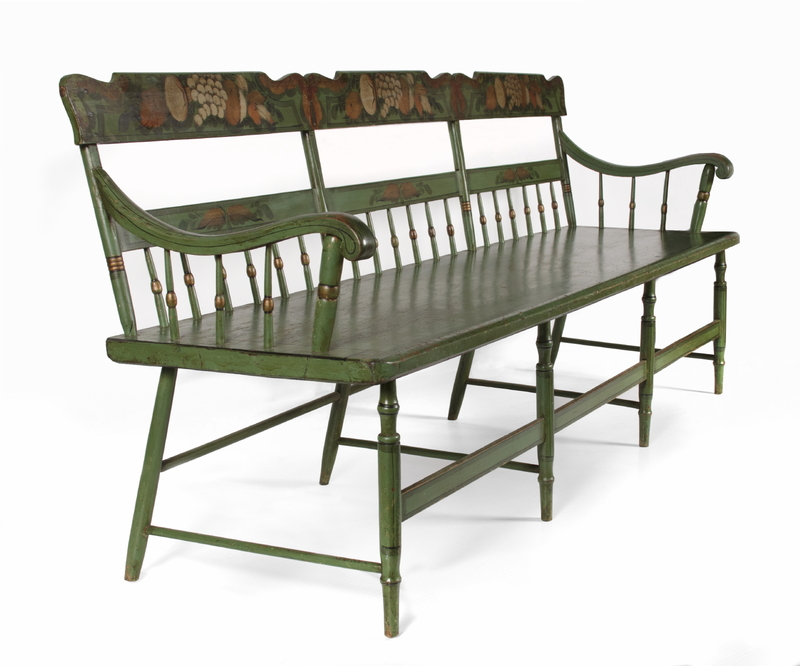 Paint-decorated, Pennsylvania, plank-seat settee of the mid-19th century (1845-65), in the half-spindle-back style with an angel wing crest rail. 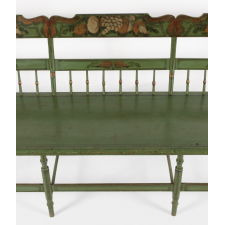 The background is apple green with black and green striping and gold gilding on the bulbous turnings. 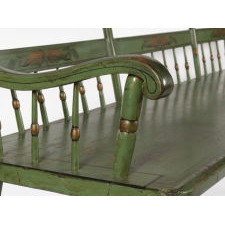 The theorem-like registers on the crest rails are typical of rural Pennsylvania chairs and benches. 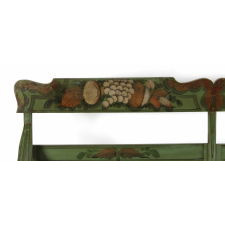 There is a cluster of grapes in the center, flanked by a large bell flower, other fruit, various flora and fauna. 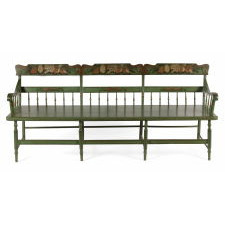 More leaves decorate the center of each mid rail. 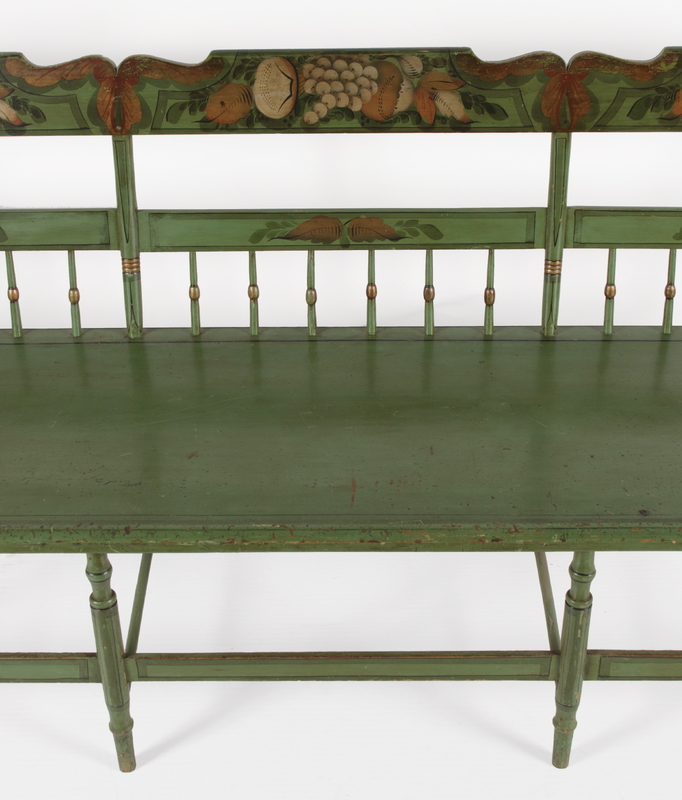 The overall result is a pleasing example of Pennsylvania German folk art on a piece of rural-made, paint- decorated furniture.